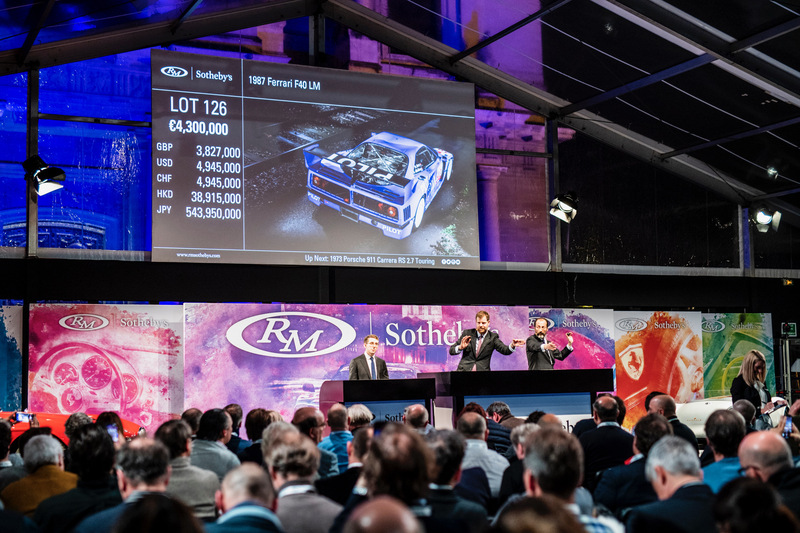 With a couple of modern supercars selling for record prices and with the so-called Youngtimer Collection drawing strong results, RM Sotheby’s enjoyed its richest Paris auction this week, with sales Wednesday of €32.4 million ($36.7 million). Post-block sales also boosted the final tally. 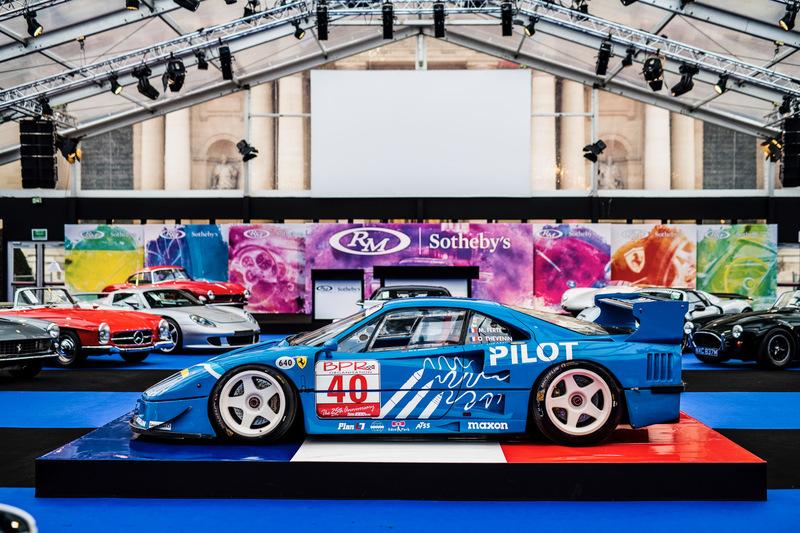 “We have enjoyed a highly successful night in Paris, achieving the highest sale total since the first auction in 2014,” said Augustin Sabatie-Garat, RM Sotheby’s European auction manager. 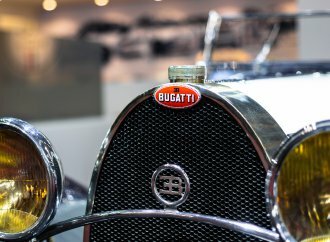 “This is a great indication that certain sectors of the market are looking strong for 2019, and it was particularly interesting to see how well cars from the Youngtimer collection sold alongside the established blue-chip collector cars. 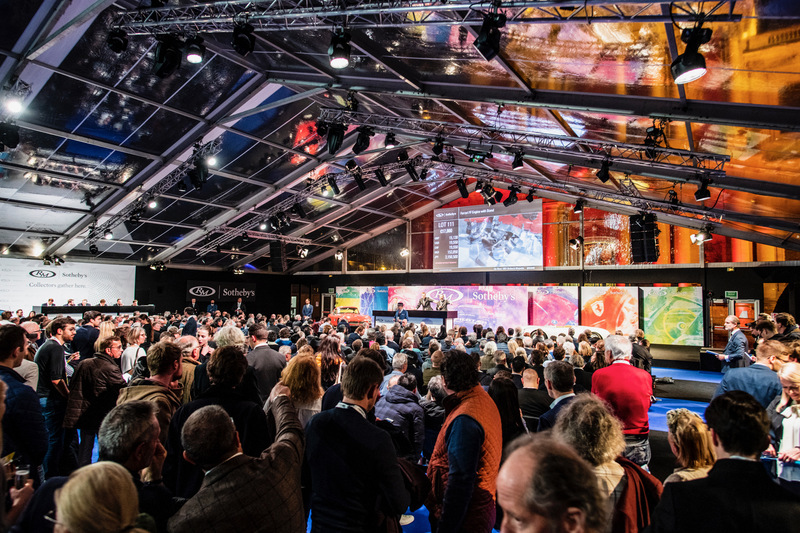 RM Sotheby’s said the number of bidders this year represented a 25 percent increase compared with the same venue in 2018 and included people from 45 nations. “Youngtimer” is the European term for what we might otherwise call future classics, vehicles still on their ascent with collectors. 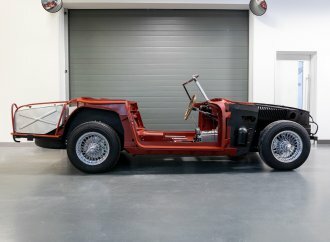 In December 2018, RM Sotheby’s announced the consignment from a single collector of more than 140 vehicles produced in the 1980s, ‘90s and in this century. Many of those vehicles were on the Paris docket. “The top sale of the Youngtimer group was a 2006 Ferrari Superamerica at €590,000, delivered new to the Kuwaiti royal family and presented in highly desirable six-speed manual transmission specification with the HGTC package (est. €575/650k),” RM Sotheby’s reported. “Additional stand out lots from within the Collection include a group of low mileage models that well-exceeded expectations, from a 17,000-km 1992 Porsche 928 GTS in eye-catching specification, which smashed its pre-sale estimate, bringing a final €138,000 ($156,360), nearly doubling its pre-sale estimated value, to a 1994 BMW Alpina B12 5.7 at €207,000 ($234,540), a 1985 Audi Quattro at €77,625 ($87,950), and a 1994 Mercedes-Benz E 500 Limited, which sold for €86,250 ($97,735), the Quattro and E 500 both nearly doubling pre-sale estimates. 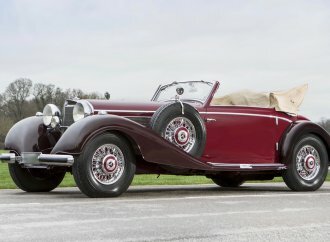 RM Sotheby’s added that more than 100 cars from the Youngtimer Collection will be offered at upcoming auctions at Amelia Island, Fort Lauderdale and Essen. 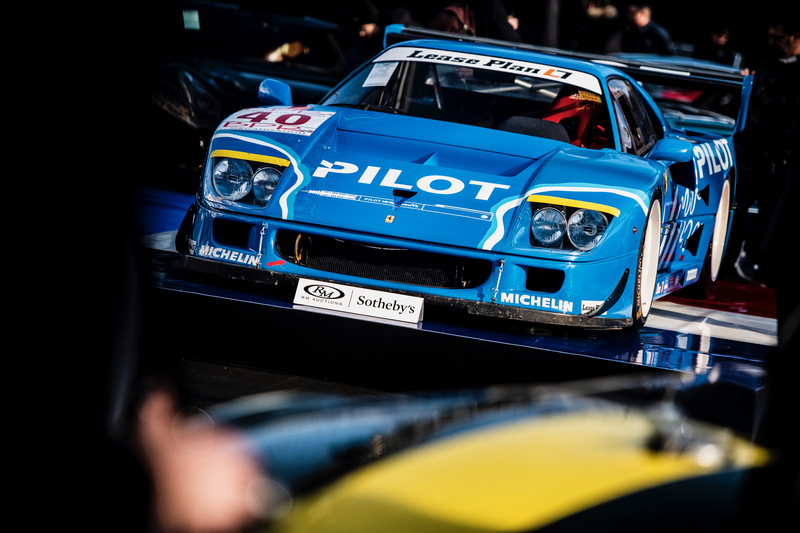 Topping the auction, which is one of three major sales during Retromobile week in Paris, was the 1987 Ferrari F40 LM which went from pre-production prototype used in developing the F40 model to finish 12th in the 1995 24 Hours of Le Mans race. The car later completed in the BPR Global GT series. 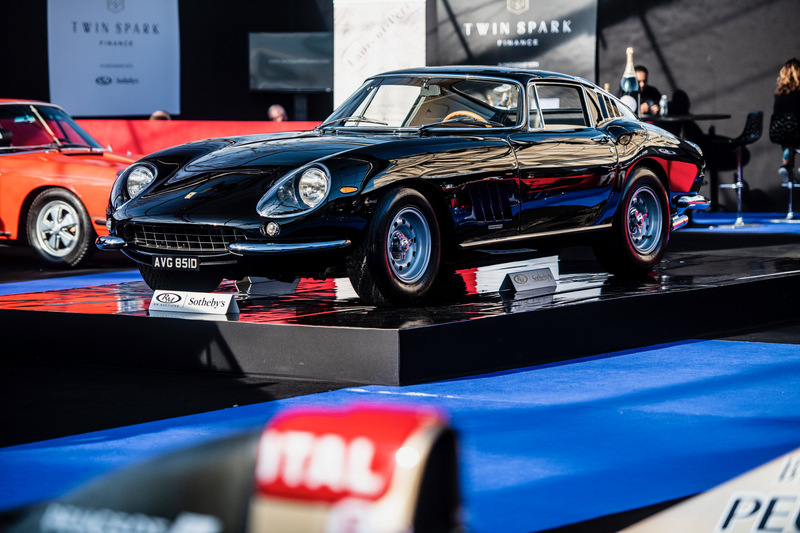 At Paris, it sold for a record €4,842,500 (just shy of $5.49 million). Other modern supercars selling well at the sale included a 1994 Bugatti EB110 Super Sport, one of only 30 produced and this a low-mileage example driven only 916 kilometers since new; the car sold for €2.03 million ($2.3 million), far exceeding its pre-sale estimate. Also, A 2017 Ferrari F12tdf, in Brunito paint with saddle-leather interior, bought €1,197,500 (more than $1.356 million), and a 2015 Porsche 918 Spyder, with Weissach-package rear spoiler, sold for €1,101,875 ($1.248 million). 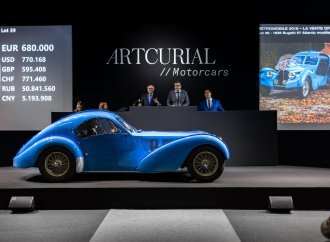 Though not reaching reserve prices on the block, selling at the conclusion of the auction were an 1,800-kilometer 2018 Bugatti Chiron for €2.275 million ($2.57 million) and a 1996 Ferrari F50 for €1.7 million ($1.926 million). “Historic sports and racing cars from the 1950s and 60s also starred at the sale,” RM Sotheby’s noted, led by a 1956 Porsche 550 RS Spyder, Porsche’s first dedicated racing car, bringing €3,042,500 (nearly $3.5 million) and a 1966 Ferrari 275 GTB/6C, one of only eight alloy bodied, long-nose, six-carburetor examples, selling for €2.86 million ($$3.24 million) in another post-block transaction. 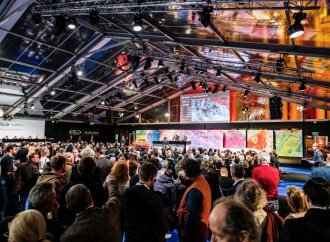 RM Sotheby’s also reported “a selection of motorsport memorabilia” exceeded expectations at the auction, including an Ayrton Senna McLaren Rheos racing helmet that sold for €162,000 ($183,550). 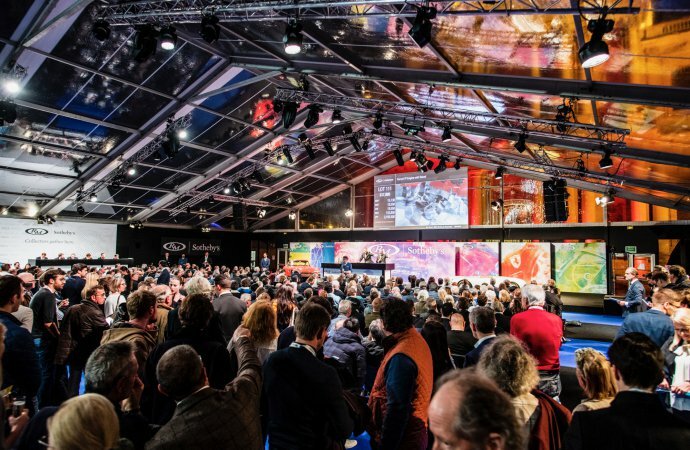 RM Sotheby’s next auction is scheduled for March 8-9 at Amelia Island, Florida.